Can't clear some old screenshot entries - Bug Reports - Forum for Kantu Task and Test Automation and the free OCR API. I have some old screenshot saves stuck in memory somewhere. The image associated with it is gone, and if I use the “clear” button, they return when Kantu is reloaded. 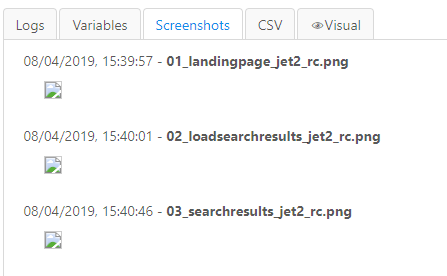 It’s only these particular ones that are stuck - new screenshots created today are cleared as expected. This was an issue with V4.12. I guess these are a left over of this version. So uninstalling Kantu and then (fresh) reinstalling the new V4.16 will solve it. Do not forget to backup your macros before uninstalling! Yup, that solved it. Thank you!